Amroad designed a new Demonstration Kit for Partners, System Integrators and Distributors who can now set up their demonstrations in a short lapse of time. The Amroad demo kit was designed to directly showcase the entire Amroad system to builders, developers and, consultants. The kit includes one door station, one home station, one community station, one I/O controller, sensors, one IP-PBX and, a computer equipped with Amroad CCC. 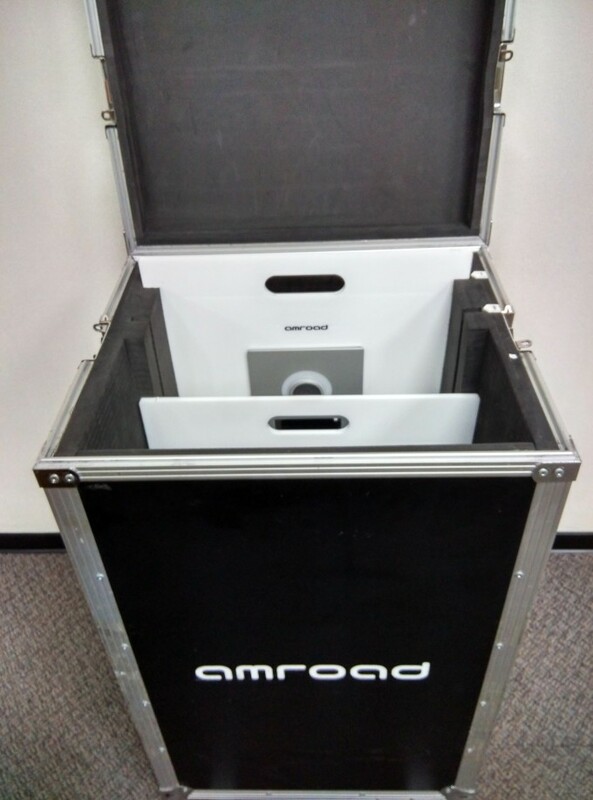 The Amroad Demonstration Kit comes within a practical flight case which is solid, durable yet easy to carry around. The set is conceived to demonstrate, with limited training, the whole range of installation scenarios: intercom, access control, alarm managements and community management. Please contact Amroad to get your own demonstration kit customized.